The contamination of water with arsenic has aroused concern around the world due to its toxic effects. Thus, the development of low-cost technologies for treating water contaminated with toxic metals is highly advisable. Adsorption is an attractive technology for purification of contaminated water, but it only transfers the contaminant from water to the solid adsorbent, which provokes another problem related to solid residue disposal. In this work, we developed a sustainable method for purifying water contaminated with arsenic by using δ-FeOOH nanoparticles. The adsorption capacities of nanomaterial for As3+ and As5+ species were 40 and 41 mg g−1, respectively, and were highly efficient to purify arsenic-contaminated water from a Brazilian river. The concentration of arsenic in water was close to zero after the water treatment by δ-FeOOH. Once the arsenic is adsorbed, it can be recovered by treatment with NaOH solutions. Approximately 85 % of the total adsorbed arsenic could be recovered and used as a precursor to produce useful material (Ag3AsO4) with excellent photocatalytic activity. It was active under visible light and had a high recyclability for oxidation of rhodamine B. 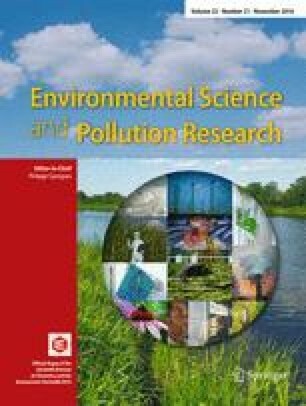 Finally, the simple method described is promising to design sustainable process of environmental remediation with minimum residue generation. The authors are grateful to CNPq, Fapemig, Rede Mineira de Química (RQ-MG), Fapesp, and CAPES for the financial support and fellowships.